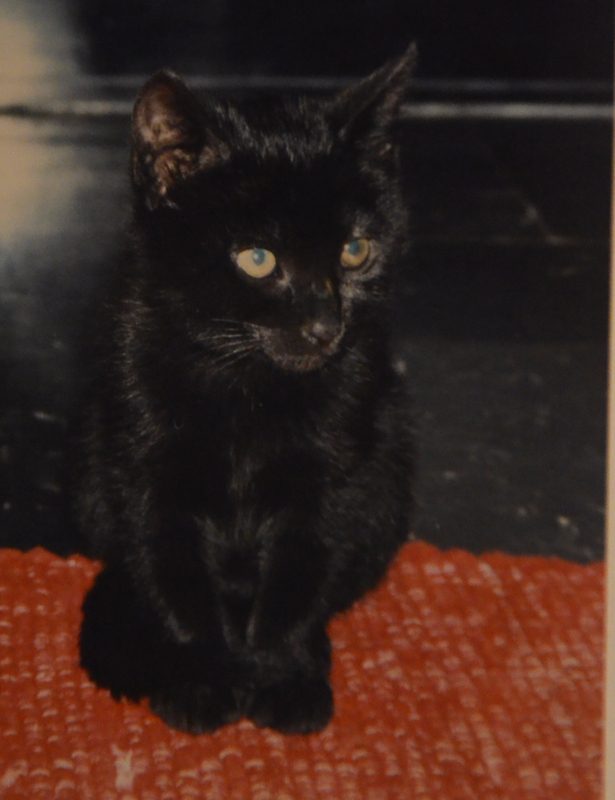 We were living in Eritrea, and my sister wanted a cat. Only if it’s black, my mother said. Two days later, we had a cat. That was fifteen years ago, in 2000. It was a little fury. We had never had a cat and already had a dog, Omero. He accepted the kitten immediately (he loved us so much that anything we wanted, he’d do) but it kept swatting at Omero for months. 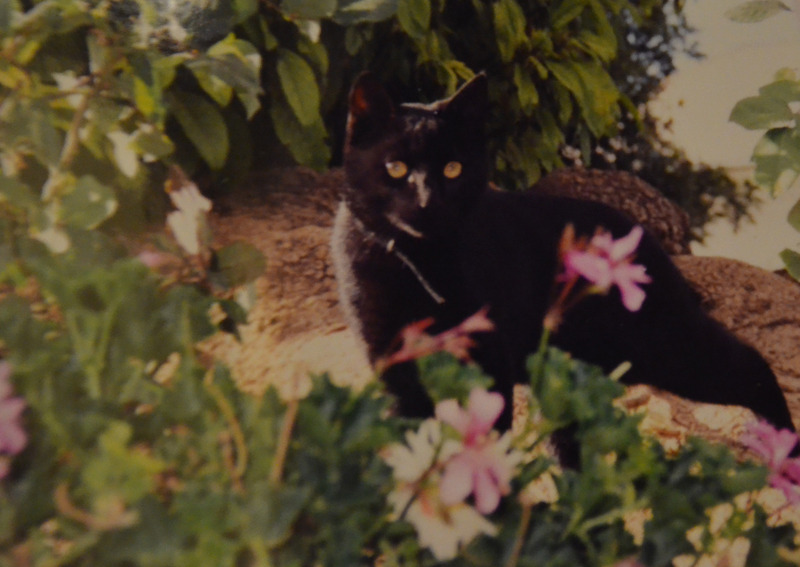 We called the cat Cagliostro, a name my mother loved. 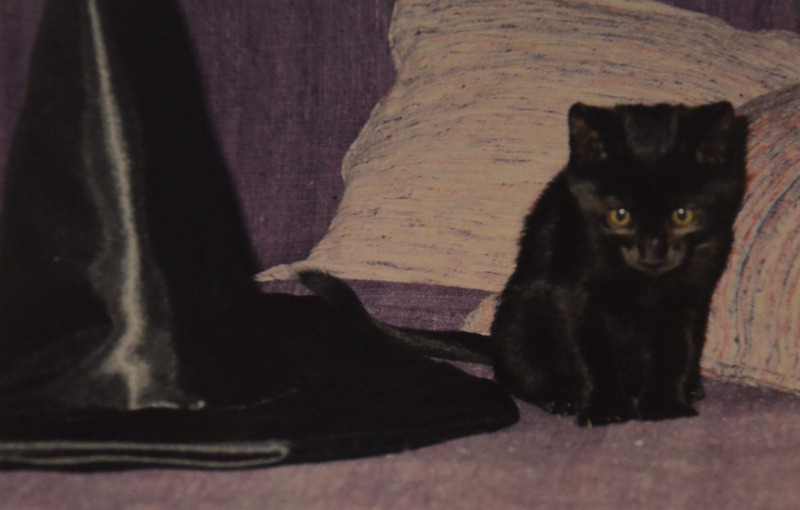 A witch’s cat. Our kitten grew strong and healthy. 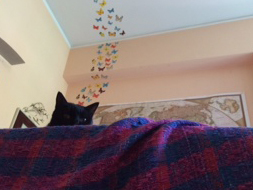 Once, during a storm, Cagliostro got so scared he climbed all the way up a jacaranda tree we had in the garden and I went after him, climbing up a slippery ladder under the pelting rain. 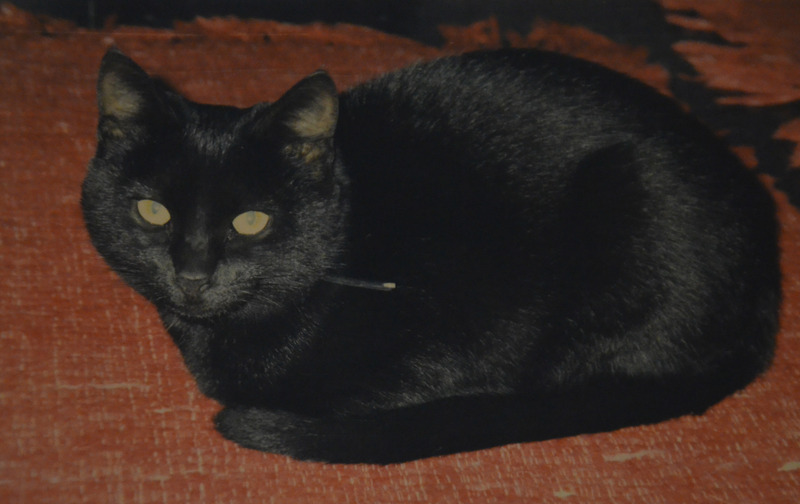 Then, when Cagliostro was about six months old, he went missing. I glimpsed him in a neighbour’s garden and called, but he ran away with a large white cat we had seen in our garden before. Less than two months later, we realised our mistake. 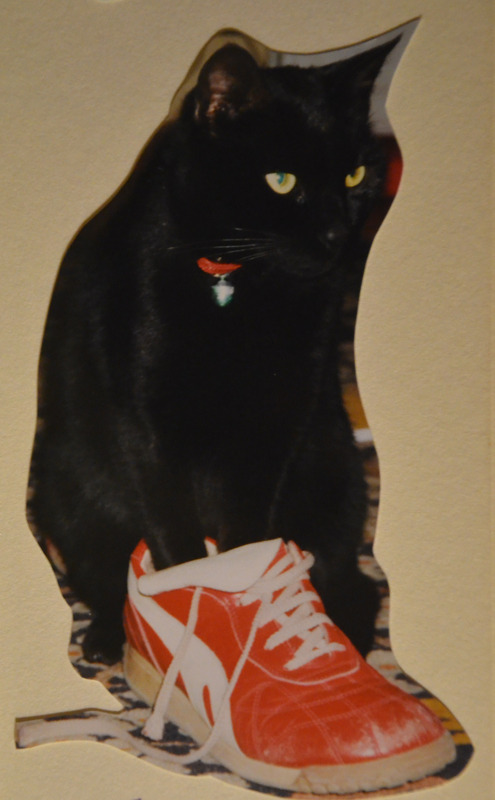 Our teenage male cat, Cagliostro, was in fact a teenage female cat. And she was pregnant. We tried calling her Cagliostra, with an “a”, and told everyone that was her name. But for us, she was always Kitzy Pooh. And we’re not even sure where or how that name came to be, but that was it. 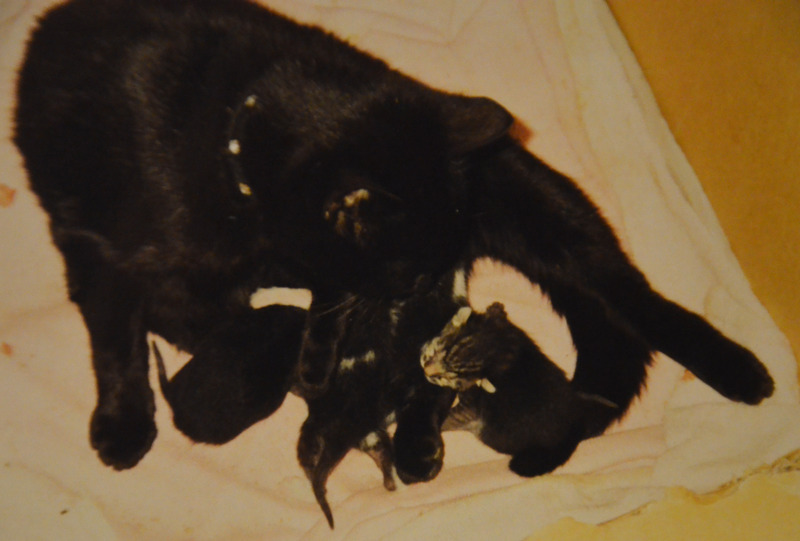 When she gave birth, her kittens were the most beautiful in the world. 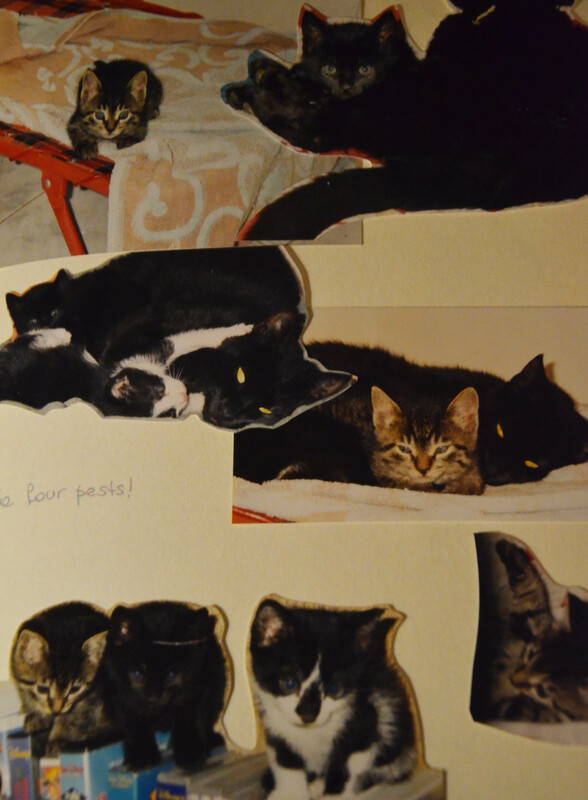 Four – one tiger, two black and white and one black, a copy of his mother. Having four kittens in the house was quite an experience, especially when they started exploring. I remember the races to catch them before they did what they weren’t supposed to, the look in Kitzy Pooh’s eyes when she just couldn’t handle them any more. Poor Omero, being chased by the kittens and then attacked by the mother who thought he was too close. The purring, and the cuddles, and the games. We gave them all away on the same day, after about a week of being weaned. 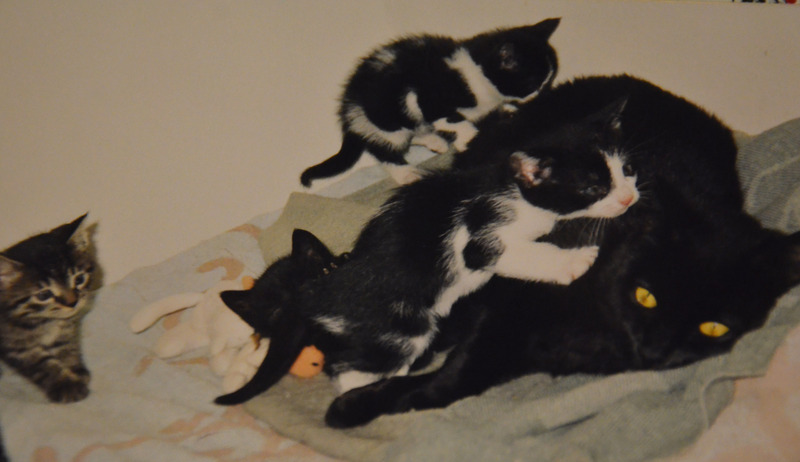 Not having any way of gathering information on what to do and no local vet we could trust, we didn’t know that kittens should be given away day by day, slowly, so as not to stress the mother. She wasn’t stressed, however. 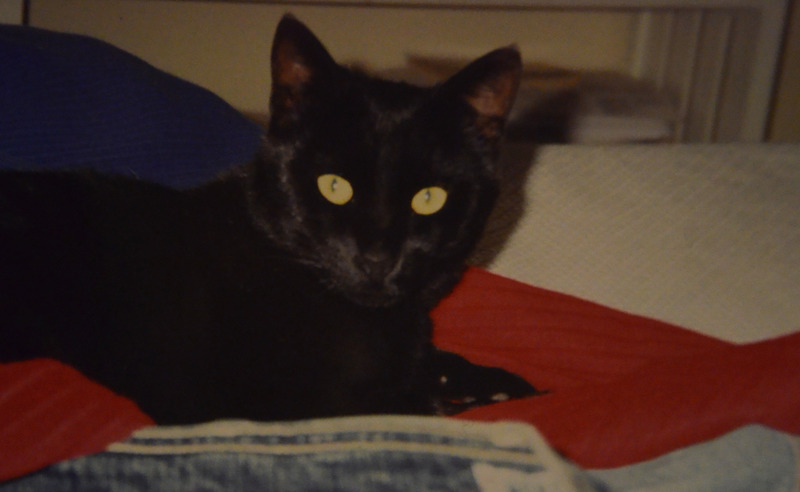 That first kitten-less evening, while the humans complained about their absence, Kitzy Pooh lay on the sofa beside us and purred all through the night. We had her sterilised, of course. And slowly she became the happy, dependable and loveable Kitzy Pooh that everyone knew. She adored people, and would take any chance she got to participate in dinner parties and receive compliments and cuddles. Once, she fell in the pond we had at home. We didn’t see it, but the guard knocked on the door, holding a soaking Kitzy Pooh. We moved back to Italy very fast and without any choice – we had to leave and Lufthansa would only accept one pet on board. We took Omero, leaving Kitzy Pooh with one of my friends and the promise that she’d be sent to Rome as soon as possible. She arrived, a few months later, undercover on a military UN flight. When we opened the cage, she was beyond terrified and came out in bounds…and with a white streak of paint on her back. Kitzy Pooh was born in Eritrea. She then lived in Rome with us, moved to Ravenna (Italy) with me and was my one and only family who I came home to for five long university years. She disappeared for a week in Ravenna, and came back with a new collar on her neck. I microchipped her, fearing she’d be stolen again. She came to Torino (Italy), where I did my Masters, and then emigrated to Portugal while I studied otters. She disappeared there, too, and came back safe and sound after five days of searching in ditches on the side of the road. Then, she went to Norway. Now, Norway she did not like. The snow froze her feet, the birds were too aggressive and the sun too weak. 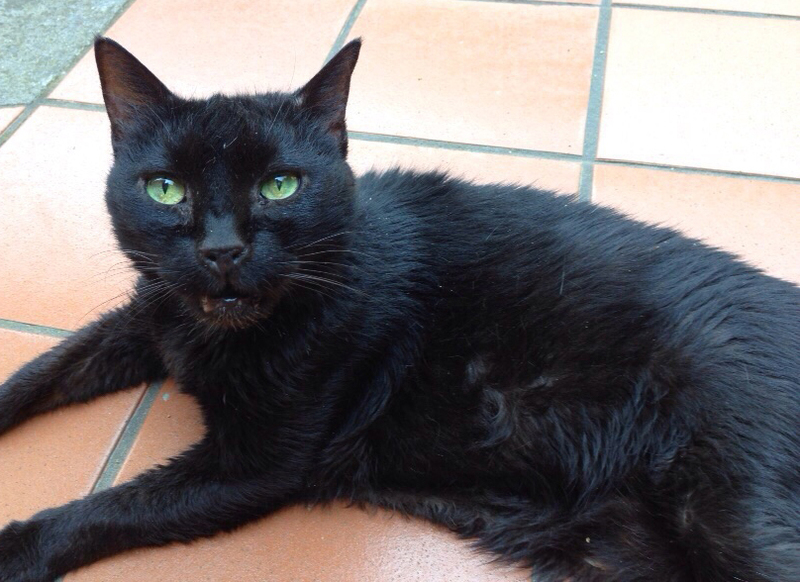 Here we also found out that she was diabetic, and her health began to deteriorate. 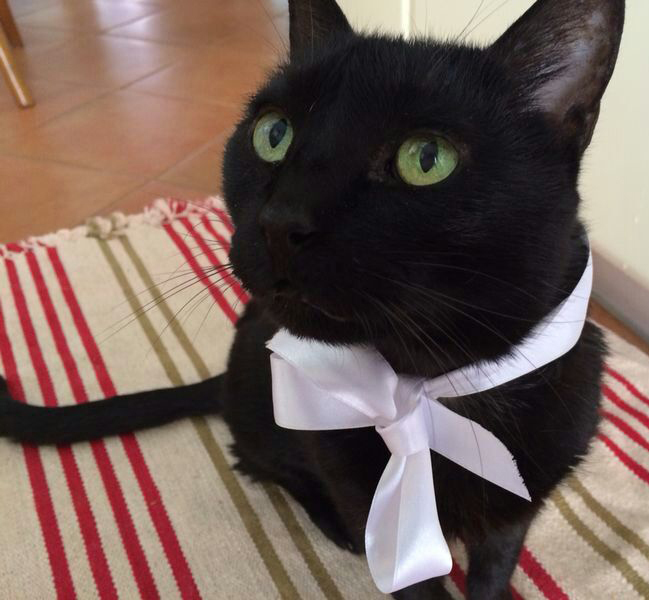 By the time she moved back to Rome, she had travelled to four countries and was an old cat. She slept more than usual and purred more than ever. She lost her voice, and would miao a voiceless miao whenever we spoke to her. 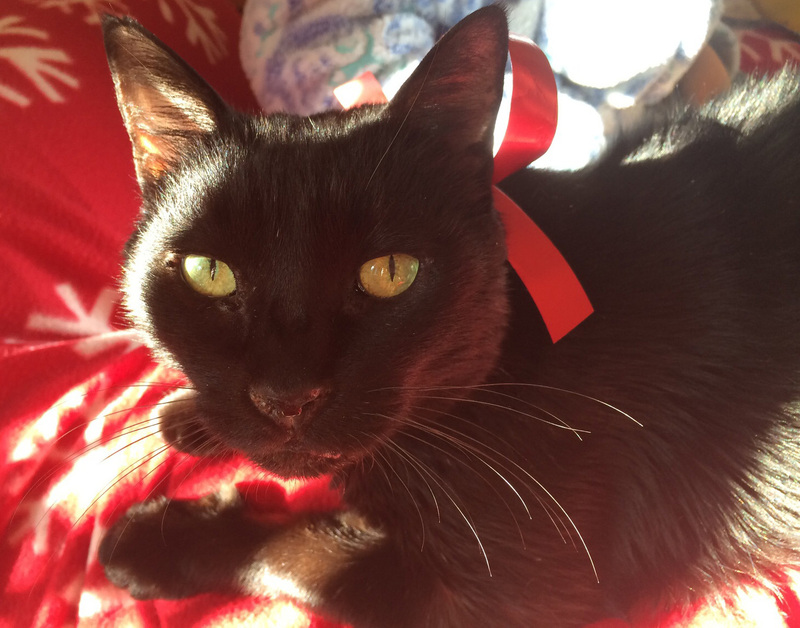 She was Kitzy Pooh, our family cat, and died this Autumn of a heart attack after a few years of being treated for diabetes. 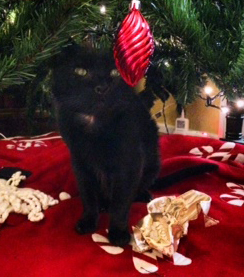 She was with us for fifteen years and this will be our first Christmas without her. 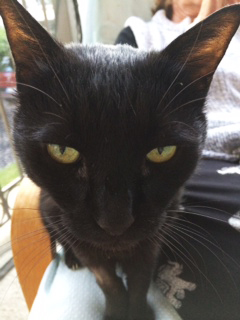 If she were here, right now, she’d be sitting as close as possible and purring, because she always, always purred. Kitzy Pooh…we miss you! Merry Christmas, wherever you are.